My pick for the best glaucoma clinic in the US (and maybe in the world) is Glaucoma Associates of New York at the New York Eye and Ear Infirmary. This is where Dr. Robert Ritch practices and it is the home of The New York Glaucoma Research Institute. Dr. Robert Ritch is my pick for best glaucoma doctor. I haven't counted the number of times Dr. Ritch and his practice have been awarded a "best doctor" award, but I can tell you that you need more than one hand to count the times they have received this award just from a single magazine. Established in 1995, NYGRI is at the forefront of innovation in diagnostic and therapeutic advances in the understanding and treatment of glaucoma. The physicians at the institute conduct research into the causes, treatment and prevention of glaucoma. Significant strides have been made in the development of new treatment modalities for glaucoma, understanding the anatomic abnormalities in glaucoma through new ocular imaging devices, tissue culture and cell biology studies, and nationwide clinical trials sponsored by the National Eye Institute. Today, the New York Glaucoma Research Institute is internationally known as the forefront of research into the underlying causes of glaucoma, lead by three internationally acclaimed experts. Bascom Palmer Eye Institute, Miami, Wilmer Eye Institute, Johns Hopkins Hospital, Baltimore and Wills Eye Hospital, Philadelphia PA are considered some of the best all-around ophthalmology centers in the United States. 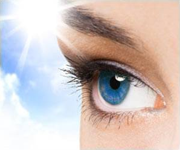 These are also top-ranked clinics for glaucoma treatment. “Bascom Palmer is one of the top eye centers in the world—without question. For instance, we have eight of the world’s best glaucoma clinicians, which makes us extremely strong on the clinical side. But I’m also interested in promoting and developing more eye research. In terms of research, we need to rebuild. Our basic research faculty must complement our stellar clinical faculty. It’s a logical complement. One thing that particularly interests me about Dr. Quigley is that he has apparently recognized the value of the Reichert Optical Response Analyzer in glaucoma management. I read some of his quotes about the Optical Response Analyzer and I was impressed. I think the Optical Response Analyzer is an instrument that should be available to every glaucoma patient, so if you are looking for a top glaucoma center, consider one that has this instrument. I believe the Wilmer Institute does, but I have not yet verified that fact personally.